Sunday saw the curtain come down on the main mixed competitions with the Mixed Flag. The winners, finishing on the 19th green were Ian Goadsby (pictured left) and his partner Helen Dellow. 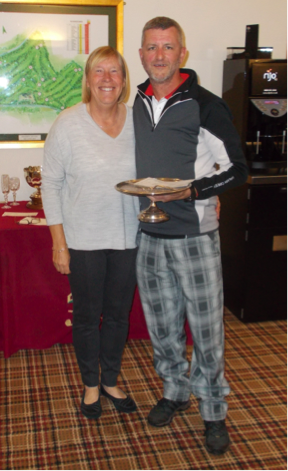 Runners Up were Martin Bradley and Maggie Smith ending just short of the cup on the 18th. 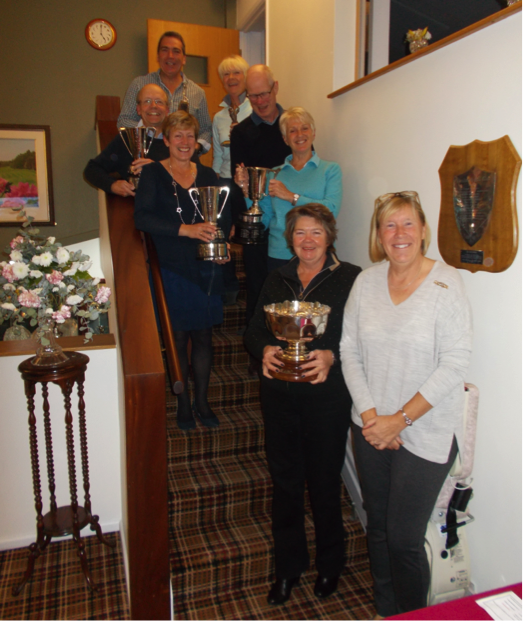 The other mixed trophies for the season: Yorke Trophy (Teresa Wright & Mark Thorne), Don Boam ( Nick Coleman and Caroline Durbin), Morton Cup ( Sue and Mark Draper) and the Morton Mixed Knockout Winners (Lynda and Jim McCarthy) were also presented. Congratulations to them all and many thanks to all those in Match and Competitions for organising all the events.